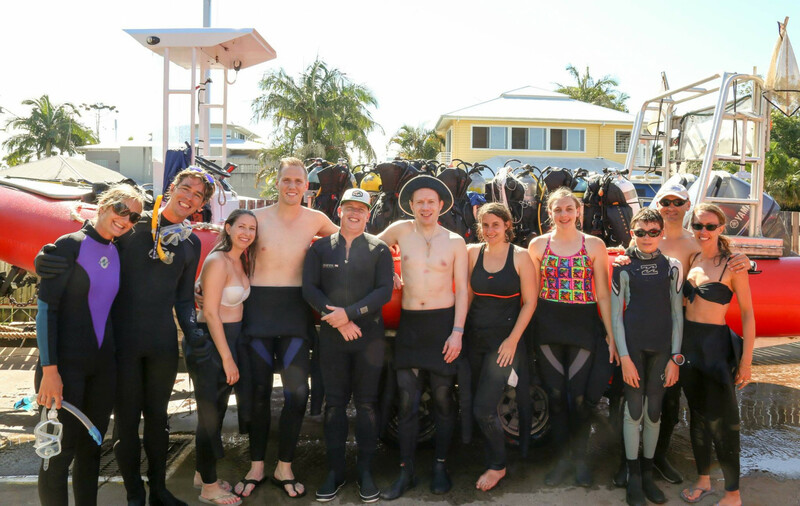 Dive with the sharks on this straightforward dive that's suitable for beginners with only a short boat trip out of Byron Bay. Named by Captain Cook is 1776, Julian Rocks is the remains of a volcanic eruption 20 million years ago. It's part of Cape Byron, but seperated from the main land by 2.5km of water. The boat takes just 5 minutes from the mainland to arrive at what is regarded as one of Australia's top dive sites. With changes in water temperature due to the seasons, the visitors to the area is constantly changing to. 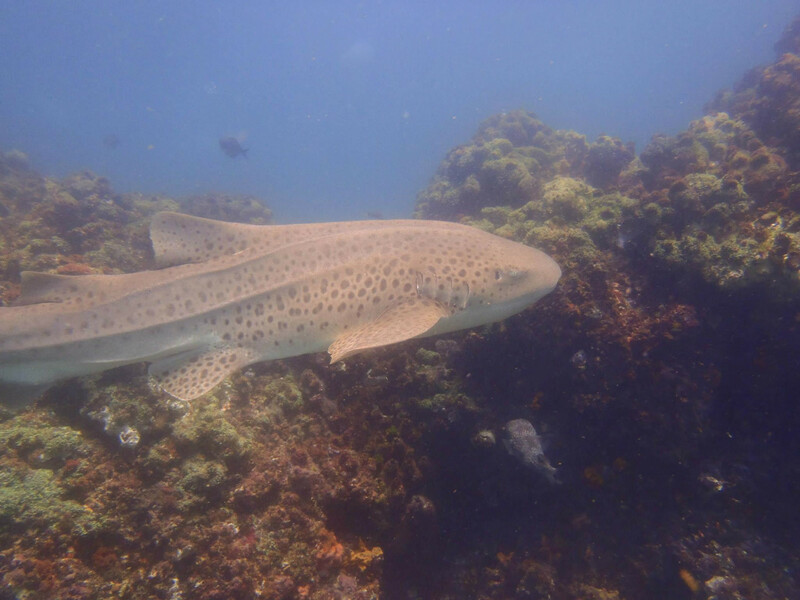 In winter, the grey nurse sharks come to the area to breed, and the whole of the rocks and it's surrounds is a marine reserve to protect these critical breeding grounds for the grey nurse. The grey nurse sharks do look pretty ferocious with their 2-3m size and big ragged teeth, but they are in fact quite placid and perfectly safe to dive with, but it's that same size and teeth that make them an awe inspiring sight under water. If you're lucky, they might even get close enough for a photo to take home of you "diving with sharks". 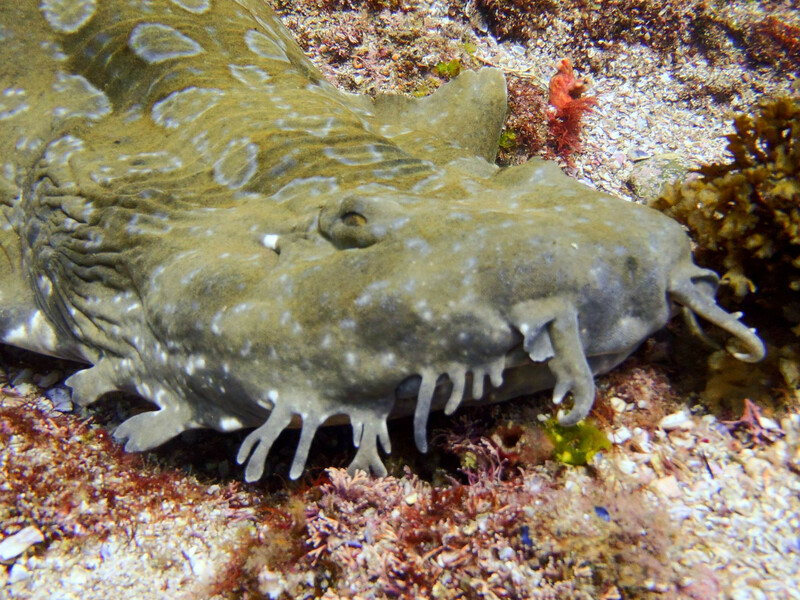 In summer, when the water is warmest, the large, graceful leopard shark can be seen on most dives. Like leopards, these sharks are a golden colour with black spots. 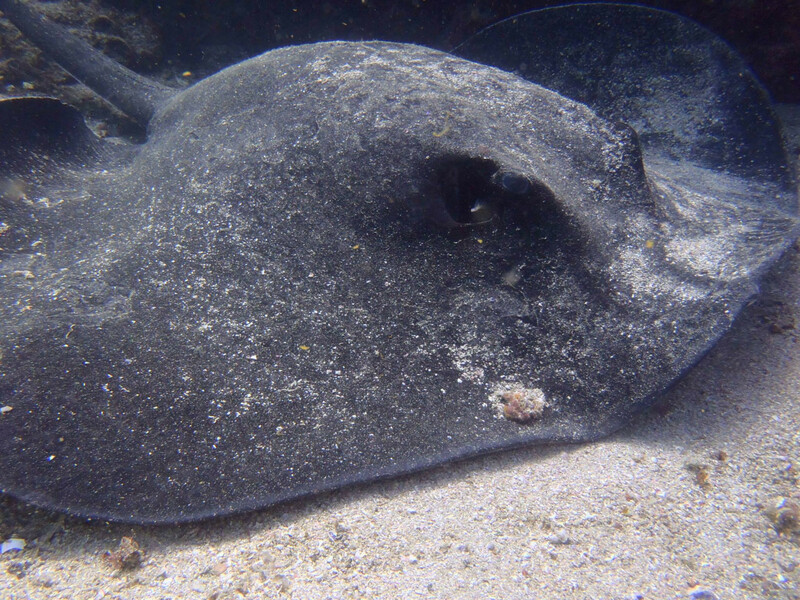 They spend much of their time sleeping on the sandy bottom, but can also be seen swimming around. They range in size from around 2m for a juvenile to over 3m or more for an adult. We've also seen manta rays in summer - unlike their stinger cousins, Manta's lack stingers, but their wing span can be 3m or more, and they move gracefully and easily through the water putting us landlubbers to shame. Most of the year round there are plenty of rays, turtles and of course the ubiquitous wobbiegong (carpet shark), in amidst the coral.